Robert Mendelsohn, MD, Professor of Pediatrics, University of Illinois College of Medicine. Dr. Sabin, developer of Polio vaccine. In my first year of family practice, a young man came to my office complaining of fever and a severe headache. Two days later I watched a neurosurgeon suction out pieces of his inflamed and swollen cerebellum, the part of the brain that creates coordination in movement and speech. He had developed encephalitis two days after receiving a swine flu vaccination and his life transformed from a talented graphic artist into a lifetime of impaired walking, talking and even writing. And, the predicted swine flu epidemic never came that year. “First do no harm,” the obvious truth of medical practice reverberated in my mind with a mix of anger, sadness and confusion. Just a few years earlier, at UCLA Med School, my professors spoon-fed me the “incontrovertibly true principles of vaccinations and the elimination of severe infectious diseases,” aka dogma. My intense feelings faded with the busy practice of medicine, but I remained skeptical. Dr Suzanne Humphries, a board certified nephrologist, had experiences similar to mine. She saw that many of her kidney patients were thrown into renal failure after routine flu vaccinations administered upon entry to the hospital. But when she complained to her colleagues and requested that her patients not be immunized until discharge, the medical staff refused and treated her with suspicion and even scorn. 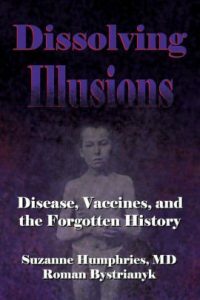 Unlike me, however, Dr. Humphries transformed her confusion into clarity with an exhausting and scholarly 500 page review of the entire story of infectious diseases and vaccinations, starting in the 1700s to this day, complete with analysis of the “science” behind the use of immunizations and their side-effects. The first chapters of her book review the sordid living conditions of people in the 1800s and earlier when people defecated in the streets and polluted their own drinking water, thereby providing robust breeding conditions for a wide variety of microbes, both lethal and benign. She then reviews the public record of the time for the mortality data from infectious disease. Then it is easy to see that typhoid fever, cholera, dysentery, diphtheria, pertussis, scarlet fever, measles, yellow fever, and small pox were conquered years before by improved sanitation and nutrition, and not by vaccination programs, which were either ineffective or actually increased mortality. The vaccine enthusiasts will usually quickly retort: what about Edward Jenner in 1798 who birthed the vaccine movement with his famous cow pox virus vaccine? Dr. Humphries devotes almost 200 pages to the history and treatment of small pox and the graphs and data clearly show that as the vaccination rates increased, the cases of small pox did not fall, nor did the death rate of those infected. Also Jenner’s vaccine virus vaccine was never compared to large intervention trials and the sources of its viral components were almost completely uncontrolled from batch to batch. 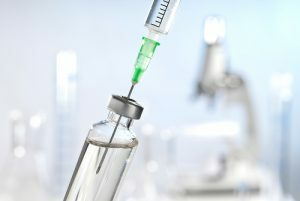 Instead of creating standards for quality vaccine production, the British government began to impose severe penalties on parents who failed or refused to vaccinate their children. As the medical record shows, many fully vaccinated people died during every small pox outbreak. Furthermore, the public noticed that vaccinated people with the disease were infecting other people. During a severe outbreak of small pox in 1872, the town of Leicester in the Eastern Midlands of England organized their frustration into the “Great Demonstration,” which occurred on March 23, 1885. About one half million angry citizens came from all over England, Ireland and Scotland demonstrating quite clearly their disapproval of government efforts to control small pox. The people then voted their town government out of power and brought in a new one which created a smallpox safety system, which established a rapid notification and quarantine system, including trained personnel who operated comfortable quarantine facilities for anyone exposed to the initially detected case. They also created laws that made vaccination voluntary. Clearly, history tells a story different from the dogma of vaccines. The polio story is a haunting one: long, complicated, and ugly. It’s not a story you will have read or that the medical profession will be able to tell. Beyond the smoke and mirrors lie sketchy statistics, renaming of diseases, and vaccine-induced paralytic polio caused by both the Salk and the Sabin vaccines. Dr. Albert Sabin’s oral polio vaccine (OPV) continues to cause paralysis in vaccine recipients today. Vaccine dogma tells us that polio was a highly prevalent and contagious disease. However, when you examine the true incidence of infectious diseases in the United States between 1912 and 1970, polio incidence is very low. Years after a vaccine was lauded for the eradication of polio, it was revealed that much of the crippling was related to factors other than poliovirus, and these factors could not possibly have been affected by any vaccine. Dr. Albert Sabin, inventor of the oral polio vaccine, and other researchers also noted that isolated native peoples, such as the Brazilian Xavante, or, certain Peruvian tribes, had high levels of polio virus antibodies in their blood but virtually no signs of the feared paralytic poliomyelitis. So why did American children develop paralytic poliomyelitis, requiring iron lung machines and steel leg braces? When the historical record is carefully examined you will find the connection between polio and DDT and arsenic exposure. A graph of DDT industrial production superimposed over polio mortality bears a striking exact correlation. Also, you will read about the role of the courageous Sister Kenny who devised a successful treatment for the children with paralyzed limbs which was bitterly opposed by mainstream orthopedic surgeons. You may recall the terrifying images of heart lung machines of the 1950’s graphically displayed by the March of Dimes polio advertisements in magazines. These are gone. They have been replaced by modern respirators, and polio has been renamed acute flaccid paralysis. As Americans, we have all been indoctrinated to believe that vaccination is effective in the prevention of infectious diseases and that there are few side effects. Just like the citizens of Leicester in the late 1800’s our government threatens people who chose not to vaccinate and the media mindlessly follows the dogma. However, if you read Suzanne Humphries scholarly book as well as others listed below, you will discover that the history and scientific record tells a different story. by Robert S. Mendelsohn M.D. Discover what your doctor injects into your child. HERD IMMUNITY: CAN MASS VACCINATION ACHIEVE IT?